a)As high-power, multi-channel, HIFIEND pre-amp tubes are being listed,it can be a great blessing about the construction of the home theater system.The dream that we cost less money but gain a higher tone quality of our home theater has come true.Also,it is easier to improve the compatibility between HIFI and AV of the theater system. 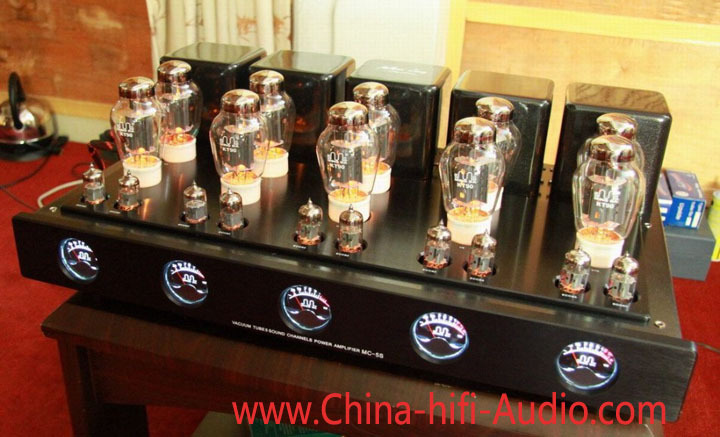 b)When the machine replaces AV power AMP of the theater system or the power AMP of intergrade AMP,the sound soon becomes thick and full and the music appeal of background music upgrades instantly. c)The stiff,cold, rough ingredients of the system are greatly reduced and the integral sound seems to be coated with honey because it sounds sweet and smooth.The excellent performance of the intermediate frequency and the high frequency of the machine can be compared with the top amplifiers of Europe.The low frequency feels deep,dynamic and flexible because of its wonderful power as well as the good output transformer.